The Eddie Brock Jacket is made from genuine leather or faux leather and comes in a sophisticated black color. The jacket is the exact imitation of the one worn by Tom Hardy in the movie venom as it has a high neck collar and a branded YKK zipper closure. The inner of the Venom Tom Hardy Jacket consists of soft viscose lining. The sleeves of the jacket are long and fitting with open hem cuffs. The front of the Tom Hardy Venom Eddie Brock Jacket has a white spider design on it. To keep stuff the jacket has two side waist pockets and two inner pockets. The fine quality stitching makes it desirable and durable. The jacket is perfect for casual wear and nights out with friends. The slim style of the jacket admired me too much. When I dress it I got admiration from my surroundings. It’s true that your outfit tells about you. 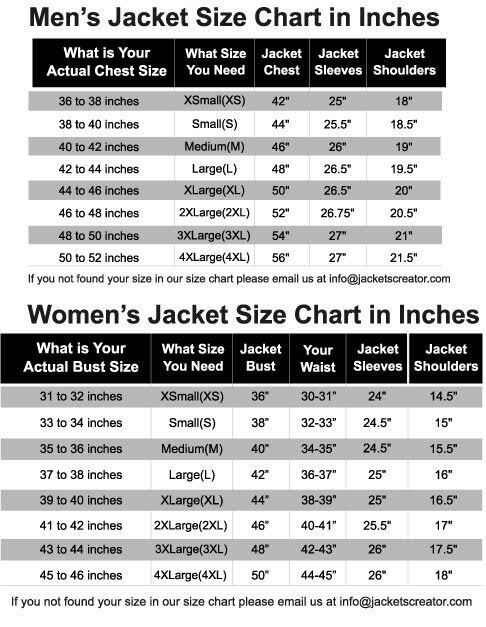 I had been confusing for size but the size chart jacketscreator provided me helped a lot. After receiving jacket I double checked measurements. I had no question on size. I ordered for this jacket because I wanted to dress at Halloween. My buddies said that it is impossible to get at Halloween. I discussed it and they assured me. I wore it at Halloween according to my wish. Looking on the standard, it is ideal. I pretty love this jacket. The combination of black and white is unique. I dress it with proud. You may also get the same proud.